For this card, I used quilling to enhance the die cuts and create other elements such as the sun ray and the background heart shapes. I used Wedding Vows die to cut the couple. I added some textures to create the clothing. 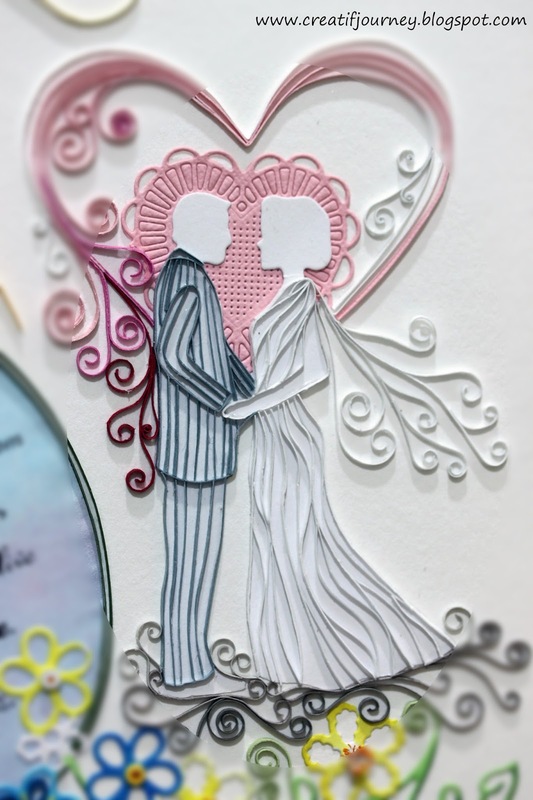 As both the paper and my couple die cut were white, I cut a pink heart from the Two of hearts die set and layered it behind the heads. 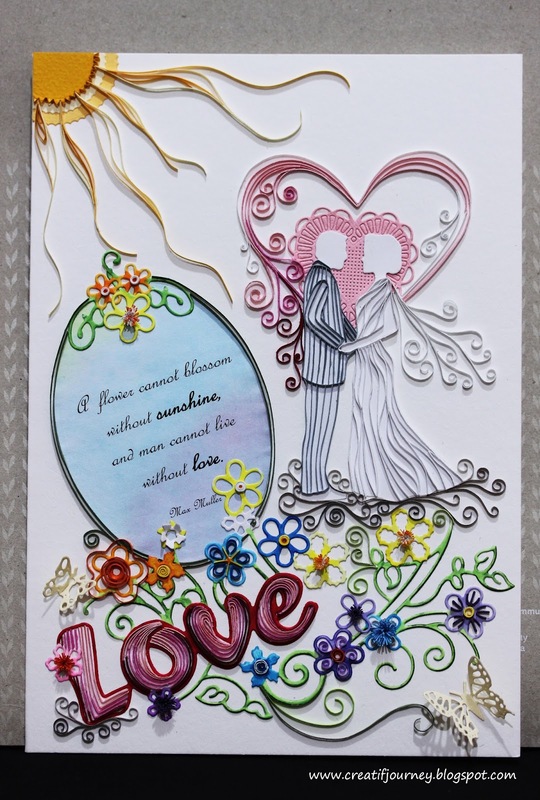 To emphasize the word LOVE (die cut from Garden of love die), I used different shapes of red/pinks to filled up the die cut. 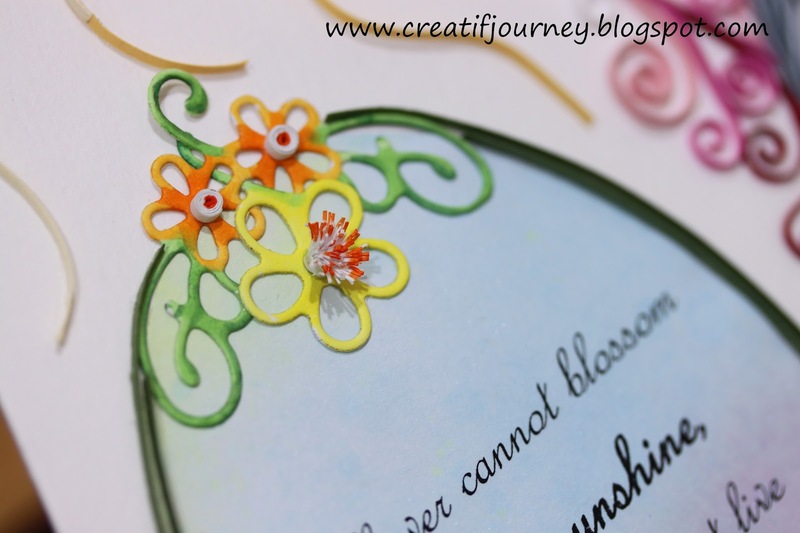 Similarly, I added other quilled elements to the flowers. The butterflies are cut from Small Exotic Butterflies and Mini Dimensional Butterflies sets. 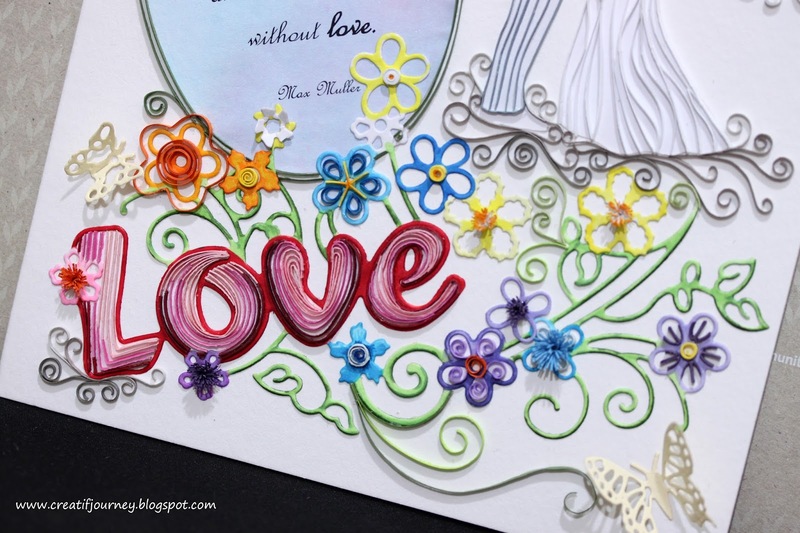 The flowers on to of the poetry are added with quilled flower stamens. 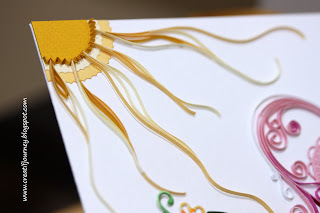 I cut three layered of different sizes inverted scalloped circles to form the core of the sun while the rays are quilled paper. This has been another fun project and I was able to complete it on a shorter timeframe by using the die cuts. Thank you for stopping by. I love the effects you achieved with the quilling. Great job! Thanks for joining us at the Cheery Lynn Designs Challenge and good luck! I can see all of the hard work that went into the quilling and it was clearly worth it for this lovely card! Thanks for joining us for this week's Simon Says Stamp Monday Challenge!